Okay, maybe the name gives it away. But it’s still not immediately obvious that there’s a hidden bar at this fast-casual restaurant on 14th Street. The storefront is a relaxed dining room where you can order South American-style chicken at the counter. 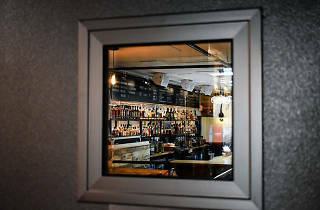 Beyond a walk-in refrigerator door lies a sleek bar with inventive cocktails that hover around the $10 mark. 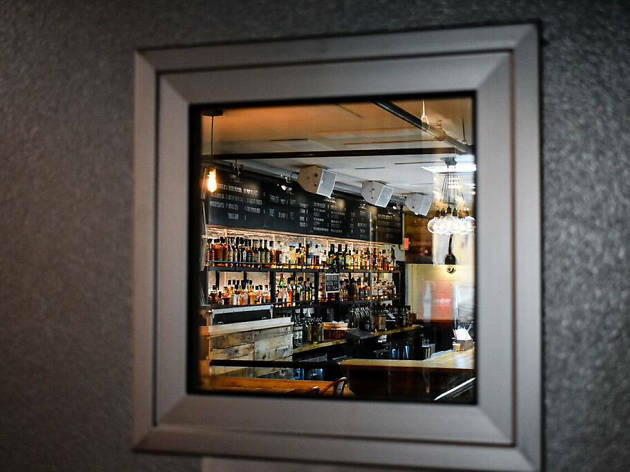 Co-owned by a revered local DJ, the space also boasts turntables and a record collection that guests are encouraged to rifle through.